A tablescape perfectly set. You give a happy sigh. You pin it. You repeat this several more times as you enter the Pin Zone. Before you know it, it’s past midnight and the dog is pacing by the backdoor, waiting to be let out. The Pin Zone. A dangerous time drain yet incredibly helpful. I’ve found ideas to pinpoint – no pun intended – a vision for an event. It’s also amazing when a client tells me, “I was hoping for something like this” and shows me a picture on a Pinterest board. Of course, sometimes, I have to go through a client’s board and, like a game of Jenga, carefully pull out pieces hoping the idea doesn’t collapse. Every picture is important; it’s just a matter of fine tuning the board to better understand the creative vision. To share the event’s story. For other clients, they want a creative jumping point. After discussing the event with them, I’ll create a board to help start the creative process, hoping a few ideas will spark the inspiration to build the event upon. 3) Take the time to test it out. Take more than a moment to look at your inspiration. Study it, draw your plan out, and test it before attempting it on-site. It’s important to know how long it will take to assemble one decor element, especially if there are 50 more needing to go through the same process. Also, know your power sources and check in advance to make sure they work (and bring extra long extension cords). 4) Tailor it to suit your event. Don’t be discouraged if you see a picture of a table beautifully set under a flowering arbor next to a serene pond and your party is taking place in the middle of noisy neighborhood with no arbor in sight. Be realistic – yet optimistic – about the elements you love in the image and make it your own. (It also helps if you make notes in the image’s comment box when you pin so you don’t end up wondering what you liked about it later on.) 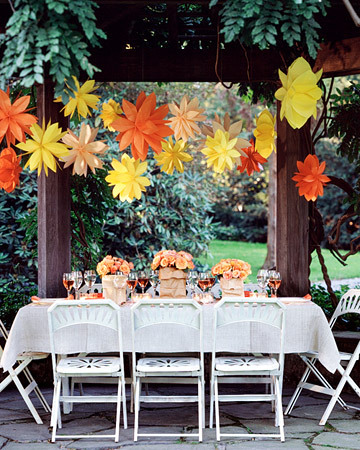 If you like the paper lanterns hanging from the arbor and the use of colors on the table, get creative in how to accomplish it at your event. Take a deep breath and remember that happy sigh when you first pinned the image. Just remember to stick to the budget, respect your time constraints, test the ideas in advance, and tailor it to your needs. And a little elbow grease never hurts. 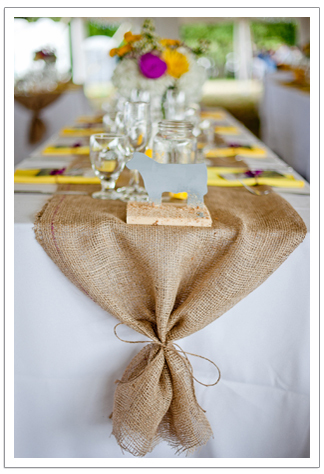 Have a Pinterest image you want to bring to reality at your next event? Trying to figure out how to accomplish it? Maybe you found inspiration in a pattern and want to translate it to your tablescape? Please share it in the comment section below – just be sure to include your event’s date and a link to the image on your Pinterest board. I might just use it for a future Pin Zone post and you could end up with the final product at your event!